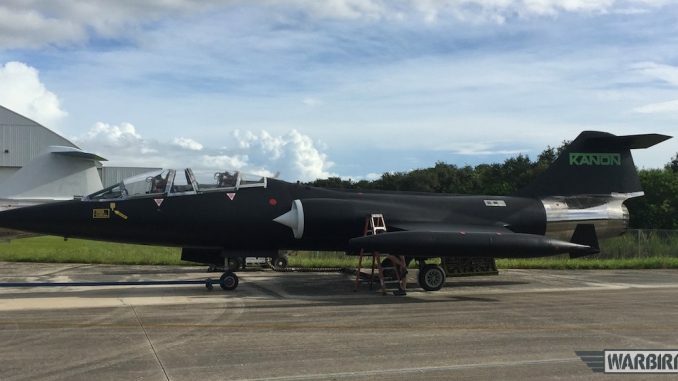 Starfighters Aerospace repaints F-104 Starfighters in an all-black scheme. 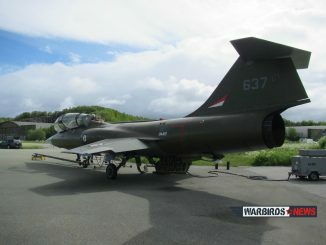 HomeWarbirds NewsJet NewsDramatic New Livery for Starfighter! 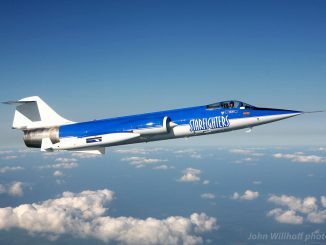 The F-104 Starfighter is one of those rare aircraft which looks menacing in almost any markings, but apply an all-over matte black paint scheme and it takes on an utterly lethal air, even when sitting on the ground! 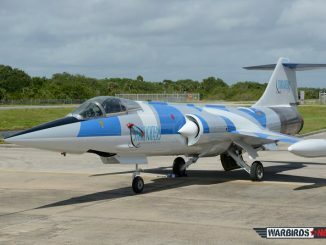 Florida-based Starfighters Aerospace, the world’s only commercial F-104 operator, has recently re-painted one of their birds ( TF-104G MM54258 construction number 583H-5209, model 583-10-20),in just such a scheme, and we thought our readers would enjoy seeing it. 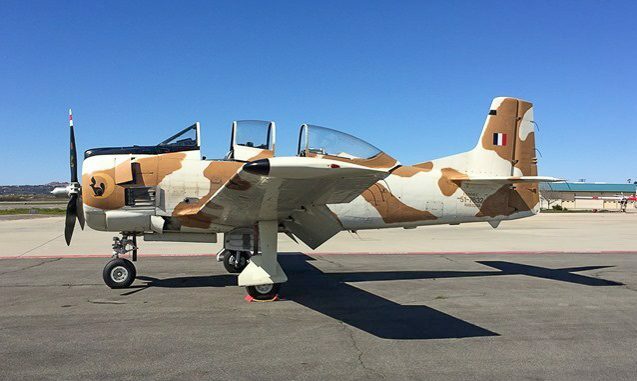 The aircraft’s crew chief sent us these two photos of the former Italian Air Force TF-104 showing the new paint which also sports the logo for KANON Loading Equipment, one of the company’s sponsors, on its tail. 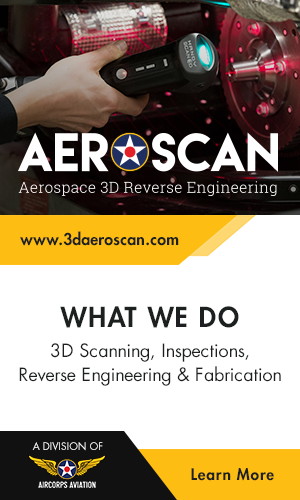 Starfighters Aerospace is a serious business which offers its unique aircraft as a platform for a variety of aerospace flight testing services from basic research to systems evaluation. 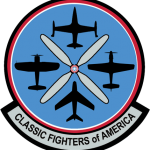 They serve both the public and the private sector, and have been successful enough with their efforts to expand their fleet of F-104s to nine airframes. 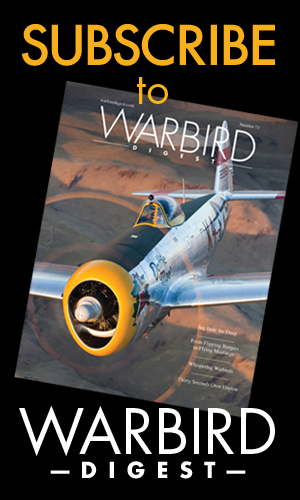 Six of their Starfighters are currently operational, out of a planned-for seven. 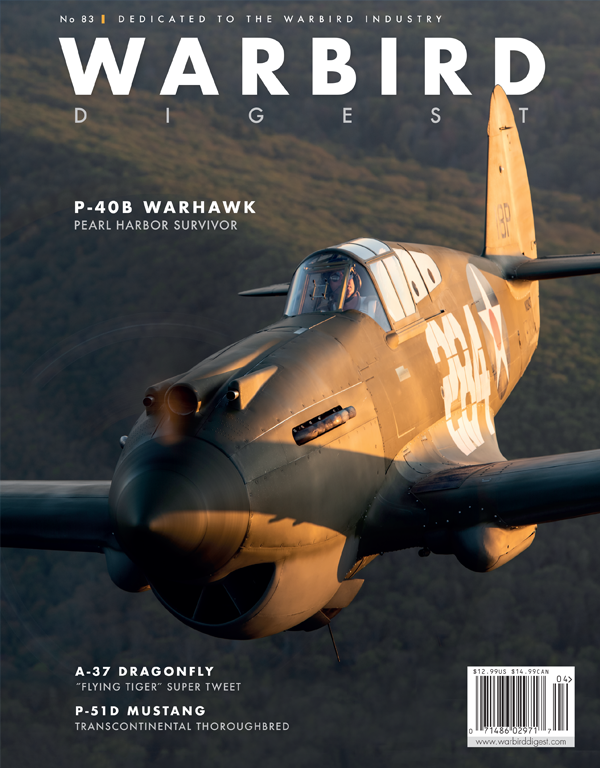 WarbirdsNews took this opportunity to have a chat with Rick Svetkoff, the company’s founder. 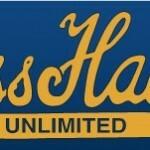 WN: Rick, what’s ahead in the next 3- 6 months for the company? 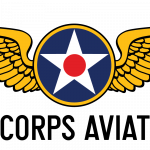 RS: The core business of the company is Research & Development and Department of Defense support, which will also be the main activity in the next months. 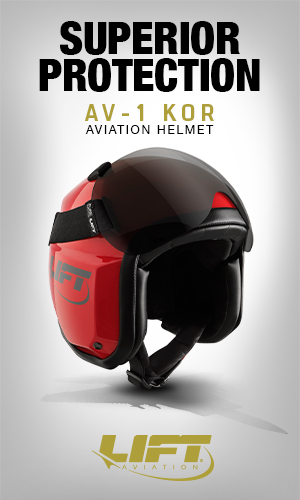 The company is also developing a specific sub-orbital flight training plan for different commercial space entities. More importantly, we are in the process of developing an air launch program that will place small satellites into orbit. 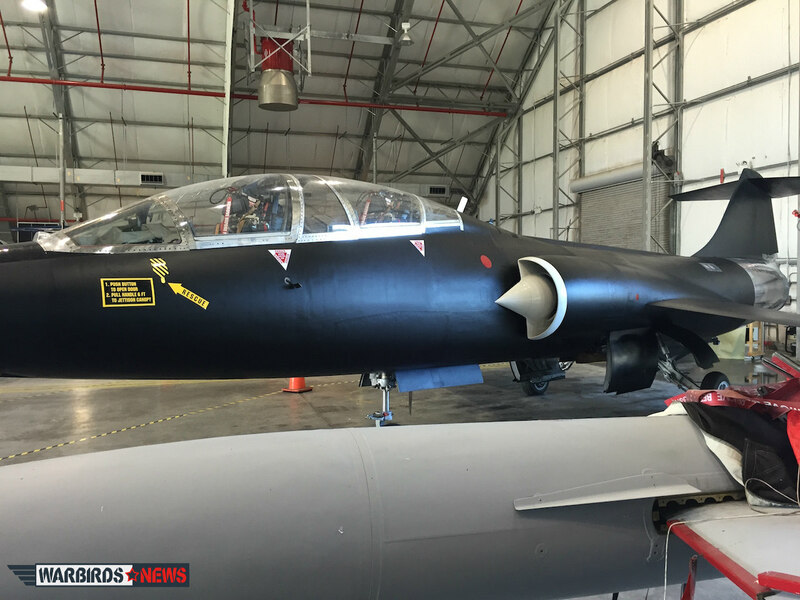 WN: What’s the reason behind the new paint scheme for the aircraft? RS: There is not a specific reason. 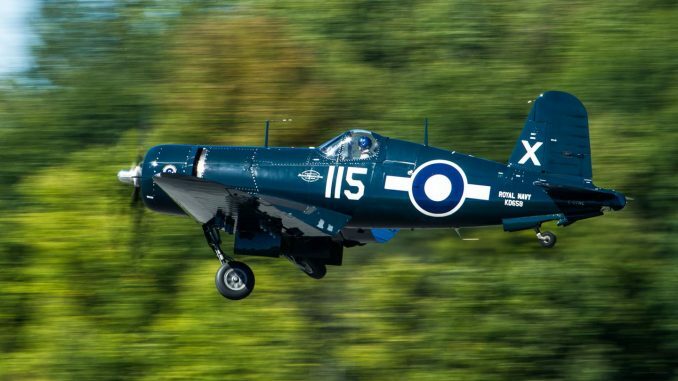 During our research process we have decided to try a new paint scheme. 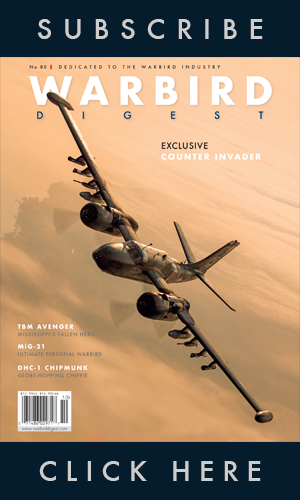 The operational aircraft will be used for different missions. 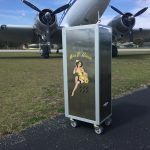 Only a few of the tasks require the specific paint scheme. The others will be swung according with maintenance cycle. 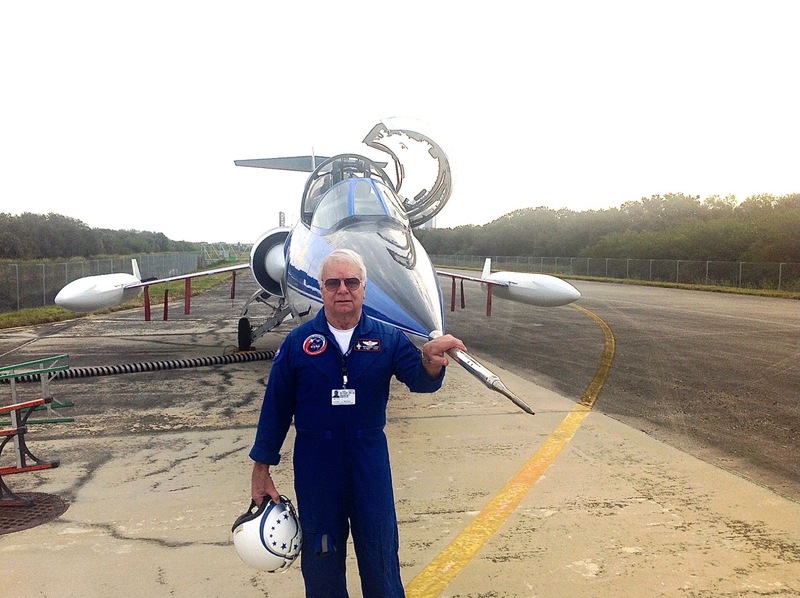 Wolfgang Czaia celebrated his 50th year of flying F-104s November 2014, which is an incredible feat by any standard. 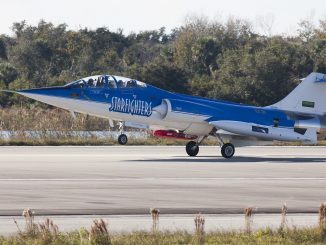 Starfighters Aerospace expects to receive some commercial test flight contracts for the F-104 fleet very soon, and one of the company’s well known pilots, Wolfgang Czaia, has gained a permanent NASA pass for entry to the Kennedy Space Center facility due to the expected high work load for the F-104s in the coming months. 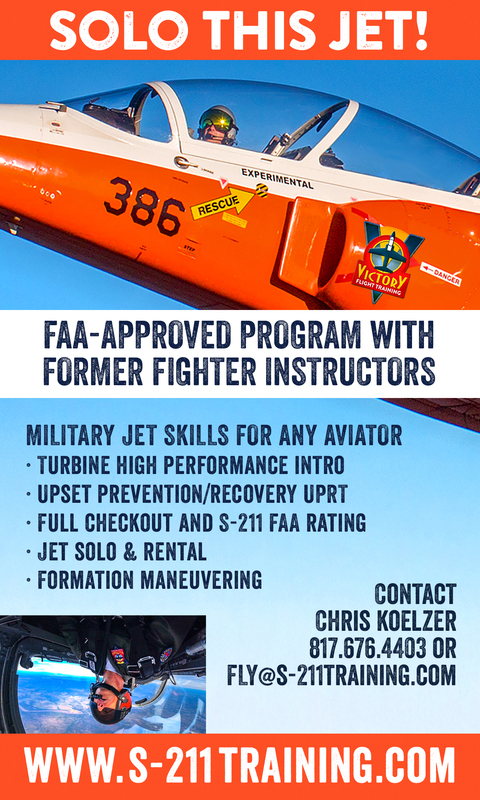 Thanks for the store’s ,, love the F-104 Iv built a few examples for friends and colleagues over the years. 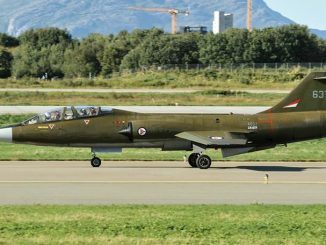 I have not seen an F-104 fly in person and like a schedule on a flying event. Are you going to try and beat Darryl Greenamyers low level record? 988 mph. 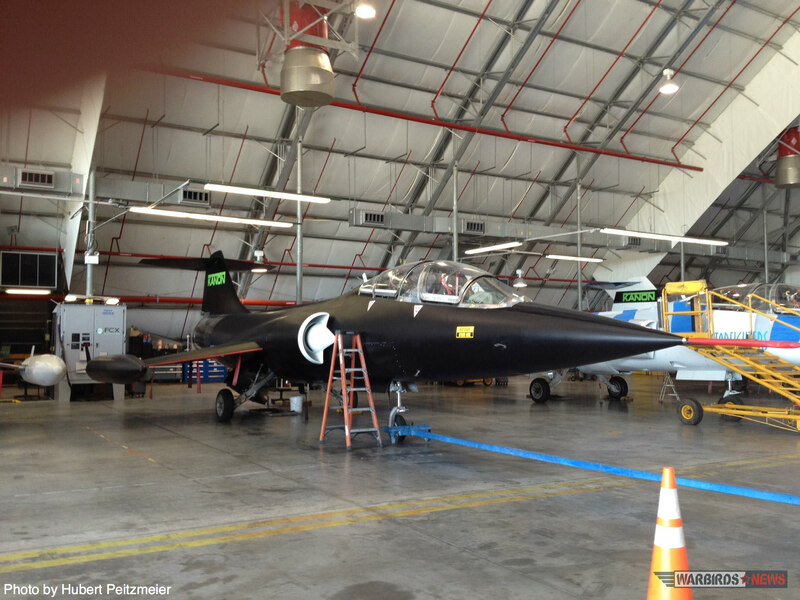 Love reading about the F-104 new black paint scheme-Awesome and Stealthy! Love to get some T-shirts. Thank you. 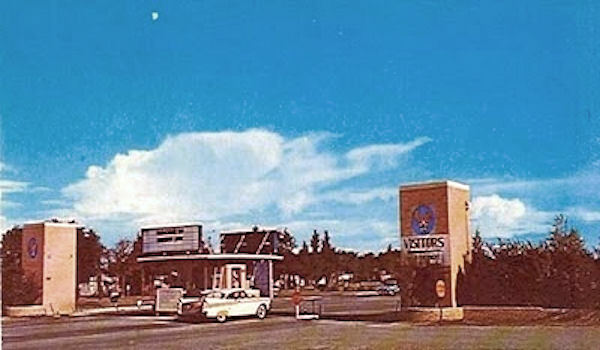 When I was in the USAF from 61-65, saw the F-104 at Webb AFB, Tex. Let me know about the T-Shirts. 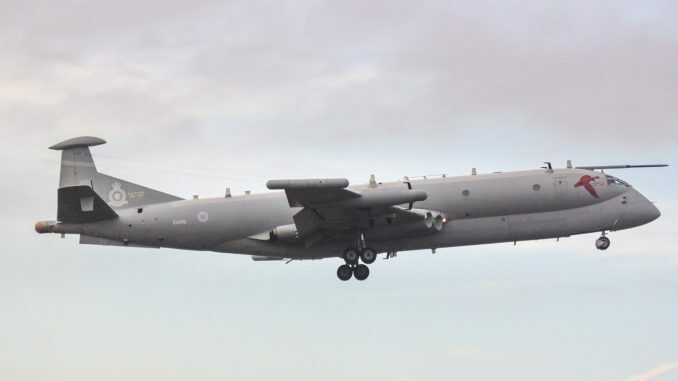 Still remember that “Sound” as it passed overhead.